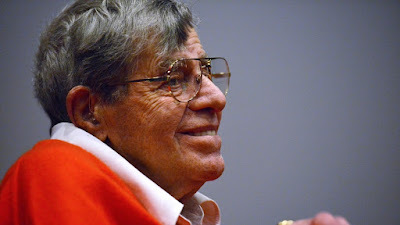 Jerry Lewis (born Joseph Levitch, March 16, 1926 – August 20, 2017) was an American comedian, actor, singer, humanitarian, film director, film producer and screenwriter. He was known for his slapstick humor in film, television, stage and radio and was nicknamed the "King of Comedy". Lewis was one-half of the hit popular comedy duo Martin and Lewis with singer Dean Martin from 1946 to 1956. After the team split, he became a solo star in motion pictures, nightclubs, television shows, concerts, musicals and recordings. Lewis served as spokesman and national chairman of the Muscular Dystrophy Association and host and emcee of the live Labor Day weekend TV broadcast of The Jerry Lewis MDA Labor Day Telethon for 44 years. He was born Joseph Levitch in Newark, N.J. 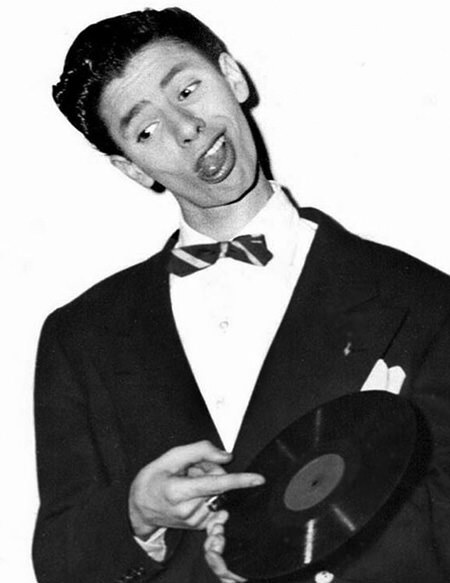 Both his parents were in show business and, at the age of 5, Lewis made his debut at a Borscht Belt hotel singing “Brother Can You Spare a Dime?” Perhaps because his parents spent a great deal of time on the road, Lewis was demanding attention through humour by the time he was attending Irvington High School in New Jersey. 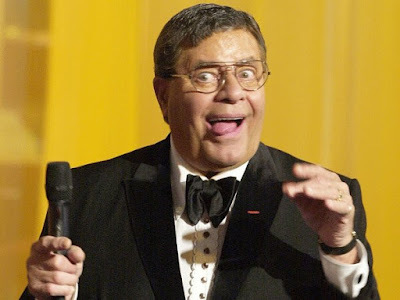 By age 15 he was pantomiming operatic and popular songs and was booked into a burlesque house in Buffalo. 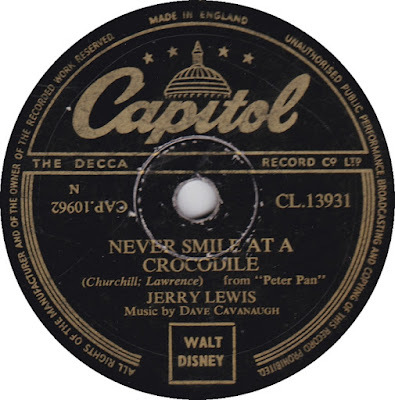 But his career really began on July 25, 1946, when the 20-year-old Jerry teamed up for the first time with a singer by the name of Dean Martin. Martin and Lewis were an instant hit. They wowed audiences at nightclubs, on the radio, even on the infant form of TV and especially, in the movies. By 1949, Jerry and Dean were among the biggest stars in Hollywood. It seemed like they could do no wrong. The critics may not have liked them, but the public always did. Their movies were box-office smashes, their radio performances and TV specials earned high ratings, their live shows were mobbed. 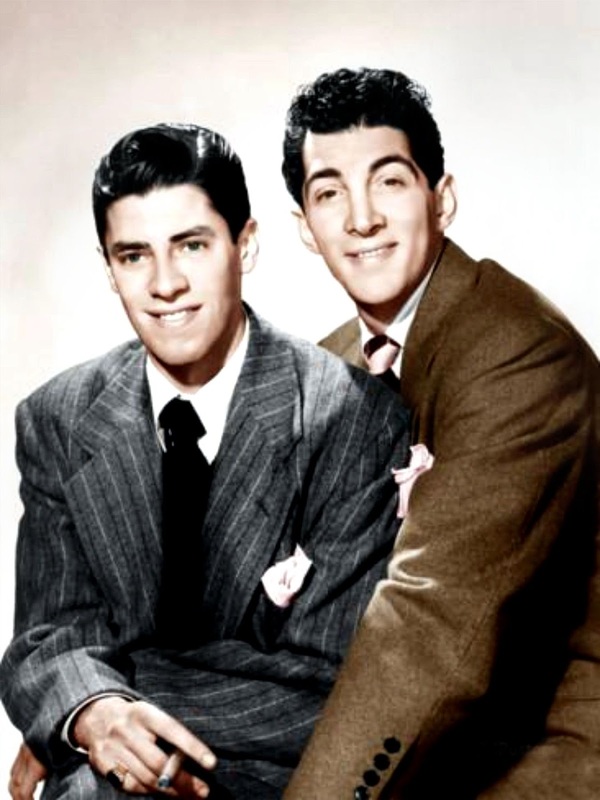 Martin and Lewis made 16 feature films together before the partnership broke up in 1956. After the breakup with Dino, Jerry continued on with his solo career. He made movies, put out records, and expanded his charity activities with the Muscular Dystrophy Association. Jerry recorded many humorous songs for Capitol, but none of them were hits. Which is not a reflection of their quality, because most of them are quite good. 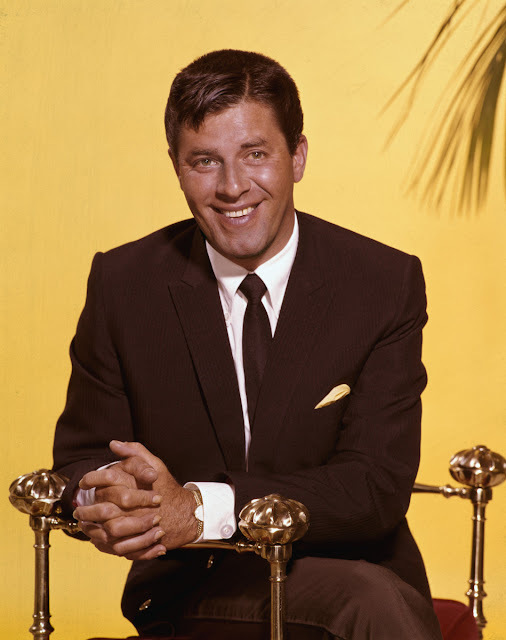 Jerry had always been interested in the technical aspects of moviemaking, and in 1961 he made his first film as director as well as star, The Bellboy. He went on to direct such inventive and interesting movies as The Ladies' Man, The Errand Boy, and The Nutty Professor (generally regarded as his masterpiece). All of these date from the early 60s, but Jerry continued to make films throughout that decade and then again in the early 80s. Lewis has long remained popular in Europe: he was consistently praised by some French critics in the influential Cahiers du Cinéma for his absurd comedy, in part because he had gained respect as an auteur who had total control over all aspects of his films, comparable to Howard Hawks and Alfred Hitchcock. In March 2006, the French Minister of Culture awarded Lewis the Légion d'honneur, calling him the "French people's favourite clown". Lewis had suffered years of back pain after a fall when he flipped off a piano on March 20, 1965 while performing at the Sands Hotel in Las Vegas that almost left him paralyzed. He became addicted to the pain killer Percodan, but said he had been off the drug since 1978 and has not taken one since. In April 2002, Lewis had a "Synergy" neurostimulator, developed by Medtronic, implanted in his back, which has helped reduce the discomfort. He was one of Medtronic's leading spokespeople. Lewis had battled prostate cancer, diabetes I, and pulmonary fibrosis, and had two heart attacks. Prednisone treatment in the early 2000s for pulmonary fibrosis resulted in weight gain and a noticeable change in his appearance. In September 2001, he was unable to perform at a planned charity event produced by comedian Steven Alan Green at the London Palladium. Some months thereafter, Lewis began an arduous, months-long rehabilitation which weaned him off the prednisone that had so altered his appearance and enabled him to return to work. In 2003 he provided a guest voice on an episode of “The Simpsons”; in 2006 he did an episode of “Law and Order: SVU” in which he played the insane, morally befuddled but bizarrely benevolent uncle of Det. 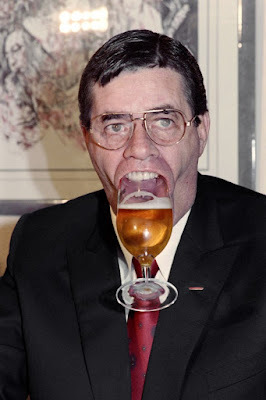 John Munch (Richard Belzer). 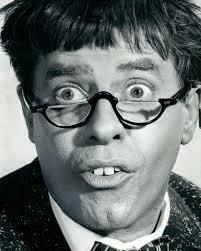 Lewis also hoped to bring a musical adaptation of “The Nutty Professor” to Broadway. By summer 2012 an ailing but still enthusiastic Lewis made his stage helming debut with such a musical, with a score by Marvin Hamlisch and a book and lyrics by Rupert Holmes, in Nashville, where it played for seven weeks. In 2013 Lewis starred in the long-gestating project “Max Rose,” written and directed by Daniel Noah and also starring Claire Bloom, Kevin Pollak, Kerry Bishe and Mort Sahl. Lewis played a jazz pianist who recently became a widower. In May 2014, he added his footprints to those of other screen luminaries at the Chinese Theatre. Lewis died at his home in Las Vegas, Nevada, on August 20, 2017, at the age of 91. The cause was end-stage cardiac disease and peripheral artery disease. In his will, Lewis left his estate to his second wife of 34 years, SanDee Pitnick, and their daughter, and intentionally excluded all six of his children from his first marriage as well as their descendants. 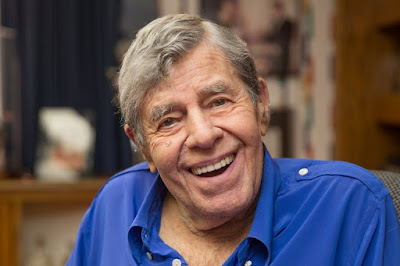 Lewis has won several awards for lifetime achievements from The American Comedy Awards, The Golden Camera, Los Angeles Film Critics Association, and The Venice Film Festival, and he has two stars on the Hollywood Walk of Fame. In 2005, he received the Governors Award of the Academy of Television Arts & Sciences Board of Governors, which is the highest Emmy Award presented. On February 22, 2009, the Academy of Motion Picture Arts and Sciences awarded Lewis the Jean Hersholt Humanitarian Award. 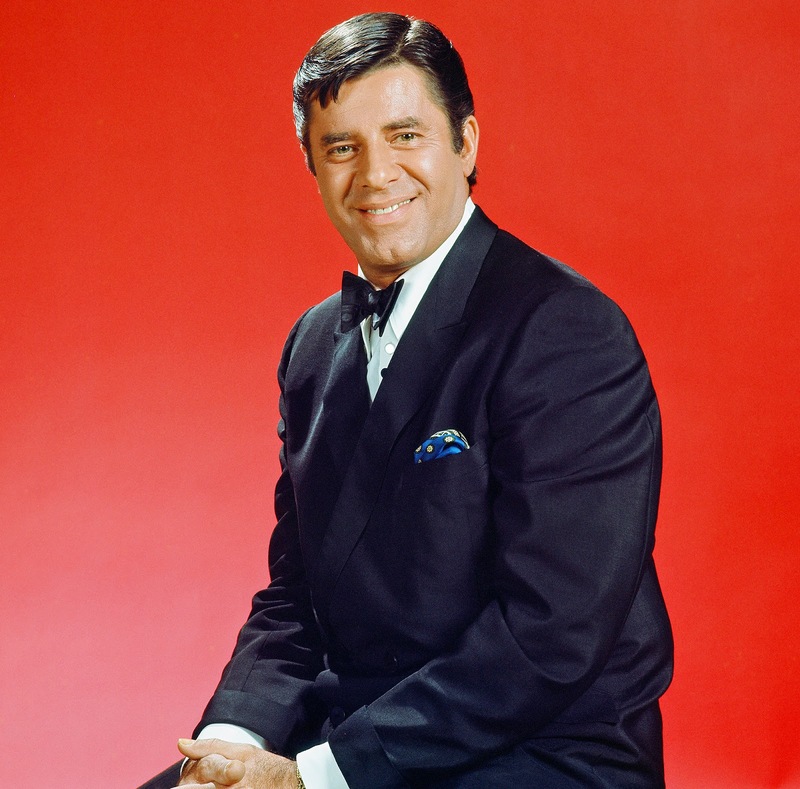 From the impeccable double act with Dean Martin, Jerry Lewis was in his own right a great performer and now Jasmine records are proud to issue this funny and witty selection of his own work. A greatly missed entertainer. Thanks Bob.